Port Adelaide’s 2016 season officially hit the abyss on Sunday as second-placed Greater Western Sydney gave Port a lesson in playing four quarters of football. And in the process ended the Power’s season, its second in a row of wasted opportunity and recriminations. Port’s second half yesterday was insipid, and has ended the careers at Port of at least five players. It’s worth looking at the train wreck of Port’s season from a player and personnel perspective – on and off the field – and decide who exactly can take Port forward and who won’t. Austin – Has done some good things, but probably would not have had his chance this year without the cavalcade of injuries Port have faced. Has shown enough to keep. Byrne-Jones – Fantastic year. Poise, class and guts. Must be kept as a future leader. Pittard – Port’s best and fairest for the year. Has matured and grown into a fantastic player. Broadbent – A massive barometer at Port. Has been very good at times, and a required player. Hartlett – Average season, from a player who constantly has high expectations placed on him but rarely delivers consistently. Must deliver in 2017 or trade. Clurey – Hasn’t been anywhere near as bad as some supporters would lead you to believe. Has a future. Trengove – Has been epic. Constantly competing against proper rucks all year. Has grown as a player where others have fallen behind. Keep. Boak – As captain, much is expected of Boak, but he simply hasn’t delivered this year. A very good player (not elite though) but would be expecting a much better 2017. Needs off-field issues sorted out. Wines – Up and down. Strong as an ox, but caught with the ball too often. Another barometer and another just-average season. Massive year in 2017. Gray, R – Started the season well, got injured and has fallen away. Still capable of magic, and works hard but another who needs a massive 2017. Polec – Much maligned, but not as bad as some supporters suggest. Yes, defensively fragile/disinterested, but still more than capable of breaking games apart. Just need it more often. Age is on his side, but needs more consistency. Continual dropping back to SANFL hasn’t helped his confidence. Some players just want to play in the highest league. Westhoff – Will end his career at Port as one of the most frustrating players of all time. So good, and yet so bad in equal doses. Ebert – Played his heart out on Sunday. Very much like his Dad – not hugely skilled or talented, but an incredibly hard worker and balls the size of watermelons. Wingard – Set the world on fire in 2014, but has struggled since. Needs a massive 2017 (like so many others). Prone to having a winge a bit too easily. Impey – Has been terrific. Not at all sure why he gets dropped at certain times. Generally clean hands, quick and resourceful. Need more like him. Must keep. Young – Improved his goal output, and that’s why he is in the team. Butcher – Useless at AFL level. Barely passable at SANFL level, but not an AFL footballer’s jockstrap. Port needed to trade him 4 years ago when it was obvious he couldn’t kick, and was worth something: because he isn’t now. Delist ASAP. Mitchell – Frustrating. Not really AFL standard, but useful for the odd tagging job. The modern-day Simon Tregenza, mind you Tregenza found more of the ball and in the late 80s/early 90s Trigger had ample support around him which helped make up for his at-times poor disposal. One more year at best for Mitchell, and that’s being generous. Poor 2017 and he’s gone. Stewart – Does a job, and was far from the worst yesterday but great days few and far between. On a knife-edge. Ah Chee – Not up to AFL standard, and may never be. On a knife-edge. Schulz – Retirement time. Great servant at Port since switching from the Tigers but his time is over. Ryder and Dixon mean no Schulz. Ryder – Essential to Port’s plans going forward. One clubs’ cheating cost Ryder his availability in 2016. Expect a massive year from him (and Monfries) in 2017. Will work in tandem with Charlie Dixon. Neade – A small forward if ever there was one. Few strings to his bow apart from roving across the forward line providing a good foil for Ryder and Dixon. Monfries – Probably one more year at Port, but deserves that at least for having to sit out a season through no fault of his own. Another casualty of James Hird’s ‘win at all costs’ mantra. Dixon – Has had a reasonable debut season at Port, but off-field behaviour needs work. Must work on his marking over summer. Amon – Not up to AFL standard. Decision making slow, and one-dimensional. Trade. Krakouer – Must have run over Ken Hinkley’s cat early in the year. It’s the only reasonable explanation as to why he’s been so often on the outer (like Sunday). Skill, pace, class and a very good football brain. Kept at all costs. Gray, S – It’s a mystery why this guy keeps getting left out of the team too. When he’s played he’s rarely had a stinker. Must keep…David Brown-like. O’Shea – Delist. Rarely done much, makes too many mistakes and slow. Jonas – A brain fade (wasn’t as bad as everyone made out at the time) cost him matches at the tribunal. Has been missed and a future leader for the next 10 years at Port. Hombsch – A terrific player and must be kept. The backbone of Port’s defence in years to come. Smart and skilful. Toumpas – Struggled to make it into a Melbourne playing list low on talent…that should tell you something. Delist. Howard – Has done some nice things with limited opportunities. A work in progress. Lobbe – Delist. Was a strong performer in 2013/4, but has fallen behind a number of others. White – provided Port with pace and skill in 2013/4, but injuries have culled his value. Delist. Carlile – Time to retire. A very good servant for the club, especially over the latter half of his career after he’d eradicated the brain fades (mostly). 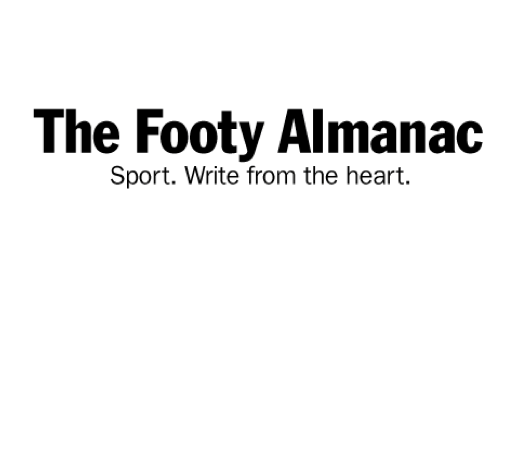 Colquhoun – Needs more time at AFL level. Palmer, Snelling, Frampton, Johnson, Houston, Bonner, Hewett – Some will go, some will stay. None have progressed to AFL level but that’s not to say a couple won’t. Some bigger questions may be asked of the coaches’ box. Credit where credit is due, though: Port have spent most of the year without a proper ruckman but have still managed to get their fair share of first use of the ball. That’s down to Hinkley, and Voss in particular. Much maligned Voss must get credit for that. Hinkley has had his honeymoon in 2013/4. 2017 may be his last chance to take Port to its first AFL premiership in 12 years. Yes, 12 years is an acceptable time frame for the Bulldogs or Richmond, but totally unacceptable at Port. He needs to find a solution to Port’s forward line issues (Ryder, Monfries) help that, and needs to find a way into the psyche of the players so summer is spent identifying why at times the players are on, and why they are often off. Go talk to John Cahill, Ken, and he’ll tell you about motivating players. You’re poor at that. And a plan B would help. And stop rewarding mediocrity so often game after game. This is the most important summer at Port since 2003/4. Back during that summer Port’s steely reserve was rewarded with a premiership in 2004. 2017 will see the end of Hinkley at Port, and some of his assistants, if another season is wasted. Nailed it. Every single player review. Must be difficult to run with watermelon sized gonads… Yep, agree with most of your assessments. Colquhuon is consistently good at SANFL level, as is Mitchell. Big question marks over their ability to consistently step up. Really like the look of Luke Reynolds and hope he finds a spot on an AFL list in 2017. Heard Reynolds could be a good one. With all of those fringe players at least 2 will need to step up, and at least 2 will be delisted as per AFL rules. List manager over Summer has a big task. As I have said before, I think recruiting needs to improve, we still have too many blokes who look noticeably smaller than their opponents when standing next to them. And certainly agree they should get J Cahill in as a wise owl, he certainly knew how to motivate blokes.